I sat in the synagogue week after week staring at the guitar. It had everything needed to mesmerize a five-year-old, and that guitar would not only make me want to return to the synagogue week after week but ultimately would lead me on the path to becoming a rabbi. I got my first guitar at eight, and when my teacher didn’t know Bar’chu, the song I asked to learn, I settled for “Row, row, row your boat,” which I proceeded to teach to my family that evening, leading them all in a round. By seventh grade, I was teaching music to the younger grades, and as a song leader in high school, serving on the board of my youth group, I was voted most likely to become a rabbi by my Confirmation class. My love for Judaism did not develop in a vacuum. My mom taught in a Jewish preschool and was my kindergarten teacher in religious school, with my dad picking up in second grade, also blowing the shofar for the High Holy Days. My older brother was a teacher assistant and was active in the youth group, and he is now the youth director at Kol Ami in Plantation, FL. The synagogue was always a second home for my family, giving us strength in times of need and purpose in moments of celebration. It inspired us to help others, made our family closer to one another, and connected us to some of our closest friends. My Confirmation class may have known before I did, but once I realized all the things that the synagogue had done for me, there was no question that the synagogue was where I wanted to spend every day of my life. Standing under the chuppah (on Schaarai Zedek’s bima) with my wife, Jacent, seeing the joy in my children’s faces as we light candles and bless them each Shabbat, holding them tight as we sing Hashkiveinu and Shema each evening, and hearing Eva, my two-year-old, ask for a guitar of her own – these have only reinforced the memories of my childhood and my belief in what the synagogue and Jewish life can offer to all of our lives. After falling in love with Schaarai Zedek as its Assistant and Associate Rabbi, it is both humbling and energizing to have been named its seventh senior rabbi in its almost 125-year history. Rabbi Birnholz modeled how to connect with and be accessible to congregants of all ages, keeping Judaism relevant and constantly innovating our approach and our program, and I aspire to do the same. Schaarai Zedek has a long tradition of being a second home to so many, and I look forward to embracing our rich history as we continue looking ahead to our future. Jacent, Eva (2), Judd (1), and I are delighted to be members of this holy community, this k’hillah kedosha, and we look forward to sharing this journey with you. 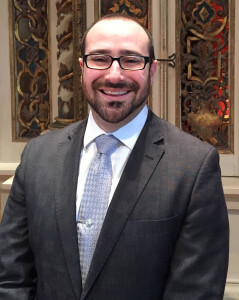 Congregation Schaarai Zedek is delighted to welcome Rabbi Nathan Farb as our new Assistant Rabbi. Rabbi Farb is smart, spiritual, an “out of the box” thinker, a scholar, a sensitive listener, a creative service writer, and a graphic artist. Rabbi Farb served as a student rabbi in Parkersburg, Virginia and Petoskey, Michigan where he led services, visited congregants, taught adult education, provided pastoral care, conducted lifecycle events, created holiday liturgy, engaged in interfaith relations, coached B’nai Mitzvah students, led day-camp activities, and led new member outreach. 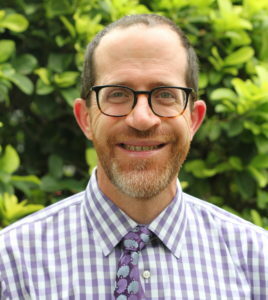 Congregation Schaarai Zedek is very fortunate in having Rabbi Farb join our clergy team. We look forward to sharing his energy and warm personality as we begin a new chapter in our congregation’s history. Cantor Deborrah Cannizzaro received her Cantorial Certification from the Hebrew Union College-Jewish Institute of Religion, Debbie Friedman School of Sacred Music, in June 2009. She has served Congregation Schaarai Zedek since June 2013. Prior to joining CSZ, Cantor Cannizzaro was first Cantorial Soloist, then Cantor, at Issac M. Wise Temple in Cincinnati, Ohio, from 2003-2013. With her warm heart and beautiful voice, Cantor Cannizzaro brings her love of Judaism to our Shabbat services every weekend. She leads our children in music through her direction of the CSZ Youth Choir and by teaching music in our Religious School. Under her direction, Koleinu, our adult choir, helps to lead our worship during the High Holidays, and at other times throughout the year. Her love of teaching is central to her work of overseeing our B’nai Mitzvah program. With her guidance and that of our Rabbis, Cantor Cannizzaro helps to guide our students through their year of B’nai Mitzvah preparation. Cantor Cannizzaro is quite active in the Jewish Community, both nationally and here in the Tampa Bay area. She has facilitated classes at conventions, and written articles for Jewish websites. She is a member of the Executive Board of the American Conference of Cantors and is ACC Coordinator of the URJ Publication of Ten Minutes of Torah. 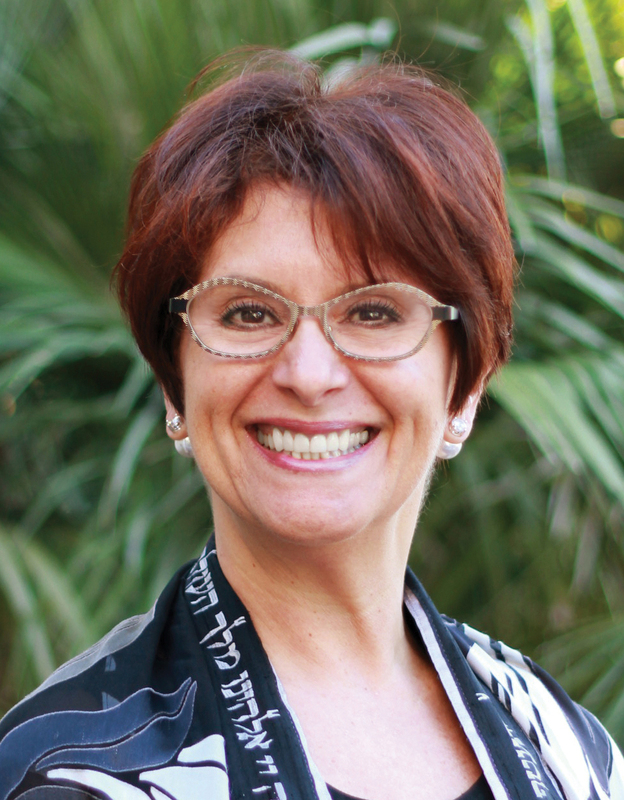 Here in Tampa, she is an officer on the Board of the Bay Area Cantors Association, an organization which helps to promote a love of Jewish music to our community. She is also a founding member of the Cantorettes, a female singing trio comprised of three cantors from the area. Prior to entering the Cantorate, Cantor Cannizzaro was a successful concert recitalist and opera singer, performing with, among others, the Pittsburgh Opera, Pittsburgh Symphony Orchestra, Kol Zimrah -The Jewish Community Singers of Chicago, and Southwest Florida Symphony Orchestra. She lives in South Tampa with her two sons. Rabbi Birnholz graduated from Hebrew Union College-Jewish Institute of Religion, New York and was ordained in 1971. From 1971 to 1973, he was the Assistant Rabbi of Temple Israel in Memphis, Tennessee. From 1973 to 1986, he was Rabbi of Beth Israel Congregation, Jackson, Mississippi, where he also served as Visiting Professor in the Religion Department at Millsaps College. 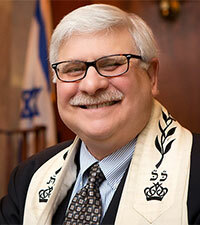 Rabbi Birnholz has won numerous awards for his outstanding contributions to Reform Jewish life. In 1977, he won the Samuel Kaminker Memorial Curriculum Award for the outstanding informal education curriculum in the country. In 1983, he was Alumni-in-Residence at Hebrew Union College in New York. In 1989, he was a United Jewish Appeal National Rabbinic Award Winner. In 1991, the professional title of Reform Jewish Educator was conferred on him by the Union of American Hebrew Congregations. In March of 1996, he was conferred with an Honorary Degree of Doctor of Divinity from Hebrew Union College – Jewish Institute of Religion for serving the spiritual and intellectual needs of the Jewish community for 25 years. Rabbi Birnholz was elected to serve on the Executive Board of the Central Conference of American Rabbis from 1996-1998.